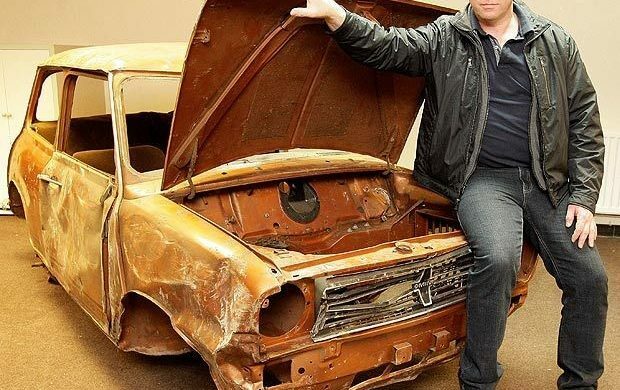 For years, photos confirmed what Mini enthusiasts knew: the last Mini ever produced by British Leyland’s former Longbridge plant sat battered, abused and stripped in a tunnel originally built during WWII. 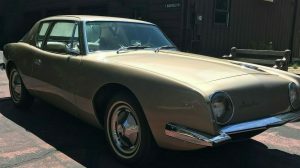 A desirable 1275GT, it was used to run errands around the property before an accident caved the roof in and it was abandoned in the labryrinth of tunnels beneath the plant. 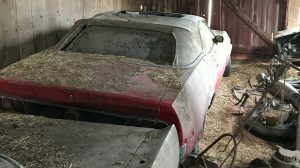 The story is a few years old at this point, but check it out here on Hemmings.com, which starts up following its rescue and eventual auction. The top photo shows it as presented by Silverstone Auctions; the photo directly above shows the Mini when it was still in the tunnel. As you can see, the drivetrain, trim, suspension and other bits have all been pillaged. 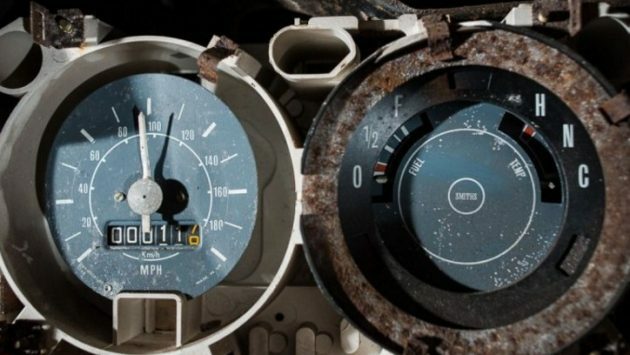 There was a very little worth saving other than the tremendous history the Mini offered and the odometer that showed a mere 11 miles on the clock. When the tunnel was set to be filled in, enthusiasts rushed to extract the Mini from its tomb. The Mini was a fairly loaded example as these cars go, being a Clubman 1275GT. However, after a shipping container fell on the roof, the cost to repair was deemed to high and the Mini abandoned. I suppose with the plant eventually closing, any sense of nostalgia was quickly lost given the car was either destined for a dealership for an executive to use after its test miles were logged on plant grounds. Interestingly, some Mini enthusiasts opposed the removal, feeling the car belonged to the plant and should be buried with the tunnel. Today, the Mini is looking slightly better with its roof straightened out and some light bodywork attempted. Still, it will be a long road ahead for this significant car. Curiously, it’s almost less talked about now that it’s no longer in the tunnel – but at least it has a shot at being restored. Anyone know the latest status on this internet famous 1275GT? I don’t think it should be fully restored. I think it should be fixed enough that glass will fit in it again taking special care not to change it to much than put a drive train and suspension back in it. 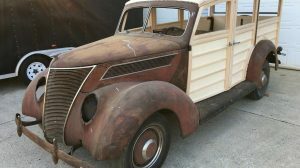 Then hang some doors on it and put the interior back together. Then I’d have a decal made for the back that said long bridge tunnel mini. I’d be willing to bet that it would draw quit a crowd at the car shows. 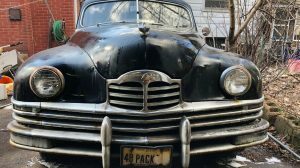 This is one of very few times I would leave the so called patina alone. Reminds me of Honda 1. The first Honda 600 imported to the U.S. Cool story. I disagree with the Mini fans who say that the car should be buried along with the tunnels. A car of this historical automotive significance should be shared with other Mini fans and the public in general. As for a full resto or keeping it as is, I’m torn between the two. Really interesting.. thanks for sharing. I think left is .. just my 2p worth. Here’s today’s Daily Mail page with some great pictures and a video of the closed plant. @Matt G. Agreed. 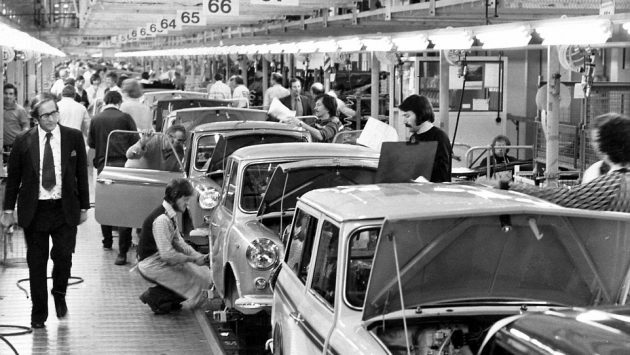 There enough original Mini’s around to last us a lifetime. Leave it as it is along with many other originals in the British Motor Museum at Gaydon along with the concept cars etc. My father in law worked at Longbridge for many years, including WW2. 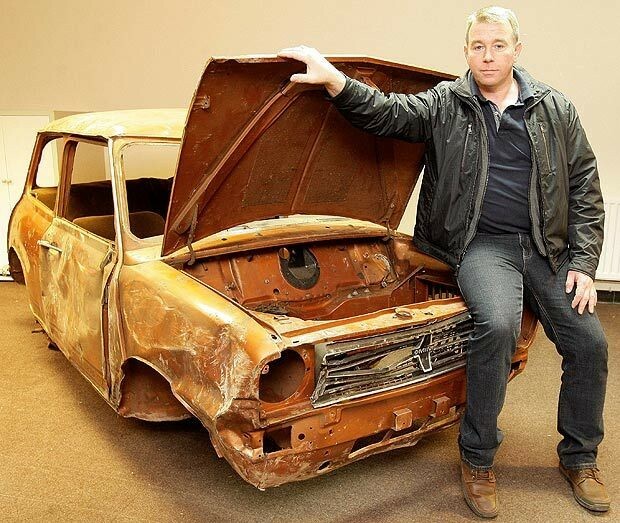 It comes as no surpise that this car had been stripped of anything of value and trashed. The worker/management relationship was one of complete distrust, of screwing what you could out of the opposing side/class enemy. I see no value in this as a vehicle, personally, better left as it is and in the right exhibition. I’ve been wondering what happened to this. I heard about it when it first came out. I’m on the fence about leaving it as is, or restoring. 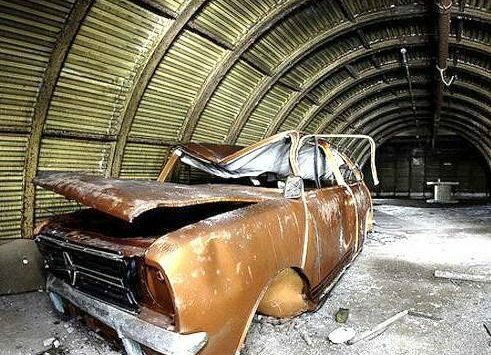 To heck with the car…they should have kept those cool ww2 tunnels! Tunnel?? What tunnel?? There called a “Quonset Hut”. Which is defined by Wikipedia as “a lightweight prefabricated structure of corrugated galvanized steel having a semicircular cross-section.” No… it’s not a tunnel. This is my Grandfather’s axe ! My Father took off the head, and now I don’t know what to do with the handle ! 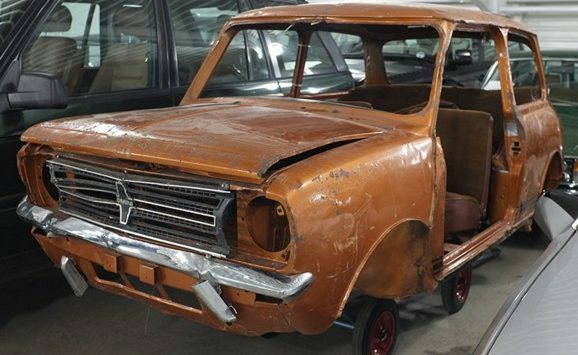 It’s only a Mini bodyshell, and an ugly one at that. Either fix it or don’t. Had loads of Minis; they’re an utter hoot. Clubmans/1275s are boggin’ looking though. My mom had one when I was a kid.. Was a blast to drive in. Rusty and crusty in the end. Great sound. I saw this car at a visit to the British Motor Museum in Gaydon a couple of weeks ago. It’s sitting in the storage area and IMO it’s junk. 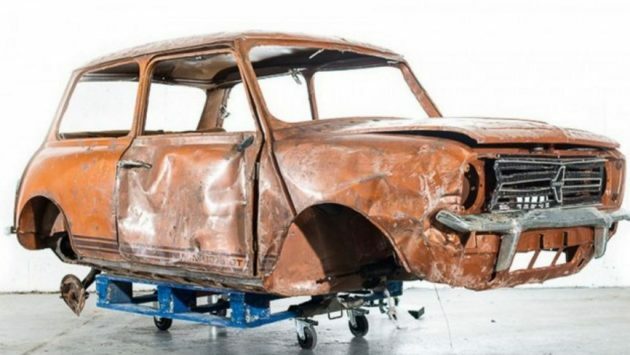 The article is really inaccurate – the last classic Mini was built at the Longbridge factory in October, 2000 to much fanfare (and it is at the museum too), so it doesn’t make sense that this thing has any interest at all. 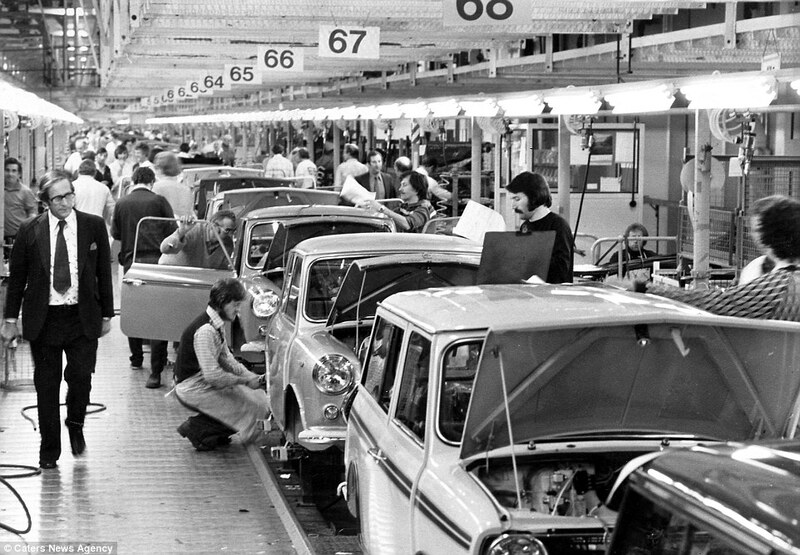 Especially considering it’s a Clubman bodyshell and they went out of production around 1980 – twenty years before the real last Mini was built at Longbridge.